The Mediterranean coast is attracting a growing number of people from all over the world, both holiday-makers and other visitors, some of whom eventually decide to settle in one of the countries that enjoy its unique environment. The benign climate, with its dry summers and mild winters, as well as the stunning tapestry of bays, rocky coves, sandy beaches, lush mountain ranges and strong red earth have all conspired to create a unique Mediterranean architectural style. Exceptionally beautiful houses, apartments and estates, many of which have been meticulously restored, all reflect their surroundings. The bright colors, the terracotta tiles of the roofs, the white-washed walls and interior details are still the most typical design elements, but reinterpreted in a thousand different ways. 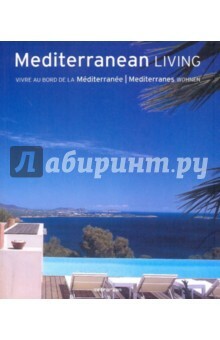 The residences featured in this book are fine examples of the splendor and enchantment of Mediterranean architecture. They have been selected to pay homage to the various cultures that contribute to resplendence and to illustrate the perfect fusion between tradition modernism. Издание на английском, французском и немецком языках.